In the world of multibillion-dollar defence contracts, India stands out. Home to one of the biggest armed forces on the planet, the country has an uneasy co-existence with neighbors Pakistan and China. 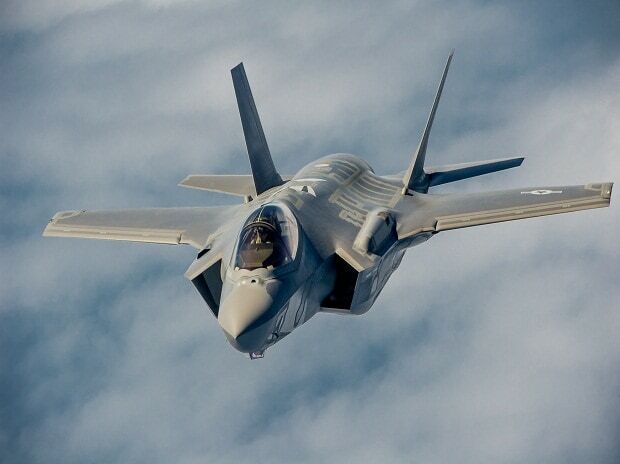 Its rapidly aging fighter jets make it a lucrative potential prize for the likes of Lockheed Martin Corp. and Boeing Co. While India wants to upgrade its fleet, there’s one big road block: New Delhi’s famed red tape. The country -- the world’s biggest arms importer, with an annual defense budget of $43 billion -- has been dangling a potential $15 billion fighter jet deal for more than a decade, with Lockheed and Boeing, the world’s two largest contractors, vying for the chance to refit India’s air force. Although drawn-out negotiations aren’t uncommon in the arms world, India took 32 years to seal a deal with the U.S. to buy 145 howitzers from BAE Systems Plc, with arcane procurement rules and shifting specifications contributing to the lengthy delays. In a country with a long history of corruption allegations -- a scandal involving Bofors AB guns in the 1980s brought down a government and delayed the subsequent howitzer deal that was eventually hammered out last year -- bureaucrats have turned extra cautious to avoid misdeeds, adding layers of vetting for negotiated contracts. A wary India, which is hosting its flagship air show this week, has also derailed plans by Lockheed and Boeing to breathe new life into their aging F-16 and F/A-18 programs. India is still seeking to replace its Soviet-era MiG aircraft, while countries such as Japan and South Korea have acquired modern stealth fighters such as Lockheed’s F-35. At the biennial air show in the southern city of Bangalore starting Wednesday, Saab AB, Dassault Aviation SA, Lockheed and Boeing will showcase their products as they seek to push for an early deal. Bethesda, Maryland-based Lockheed has sweetened its bid by offering to fit its F-16 Fighting Falcons with an advance radar available on its F-35s, while also promising to manufacture wings for the jet locally. Sweden’s Saab makes the Gripen fighter jet and Boeing makes the F/A-18 Super Hornet. India is in the process of gathering information from fighter jet makers for the next round of orders, Defense Minister Nirmala Sitharaman said, without elaborating. Representatives of Boeing, Dassault, Lockheed and Saab didn’t respond to requests for comment. Apart from bureaucratic delays, changes in governments and opposition parties out to embarrass the ruling party over perceived wrongdoings have also added to the mess. “All big businesses are cognizant that especially in democracies, we have political dispensations, but business goes on,” Ajay Kumar, secretary for defense production, said earlier this month. One recent example of the muddle: After initially choosing Dassault’s Rafale aircraft, the Indian government scrapped the deal to buy 126 planes in 2015. Instead, Modi opted to buy 36 of the French jets, leaving an order for 110 more still open to contractors. His decision has come under intense scrutiny for alleged rule violations and criticism by his political detractors months before national elections. Clearing Modi’s handling of the Rafale purchase, India’s Comptroller and Auditor General said in a report this month that the Indian Air Force “needs to revisit the entire process of acquisition,” because the system was overly-complicated and inefficient. But even Modi’s record electoral mandate and promises of sweeping changes to boost domestic defense production have not had much impact. He was even accussed of undermining his own “Make in India” push to boost domestic defense production by canceling the original Rafale purchase -- which would have seen some jets made in India. The fog surrounding a conclusive deal isn’t likely to lift any time soon as voters are set to elect a new government by May.